Summer has finally reached out and brought us time to hit the pause button for a moment or two. Mermaids are on-trend and this mystical, magical, sea-loving creature adds a bit of whimsy to our heart and sparkle to our eye. 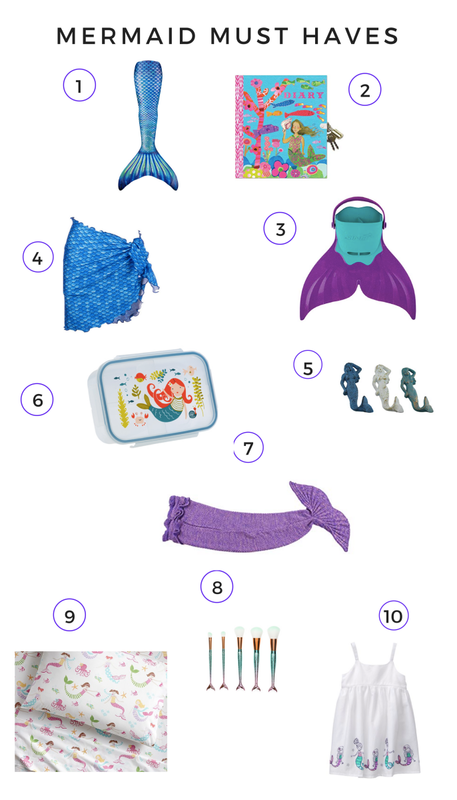 We found some mermaid must-haves just right for every trend-lover whether you&apos;re all in or still getting your fins wet. For those wanting to swim the seas and try their hand at their own mermaidness, we bring you a Mermaid Tail from Fin Fun. Looking to inspire your little one to continue to write? Their own private writing space is a great start. This mermaid diary from eeBoo will hold all the secrets under lock and key! Have an advanced swimmer or want to give the kiddos a fun pool challenge? A mermaid fin from Finis is the must-have pool add-on of the season. 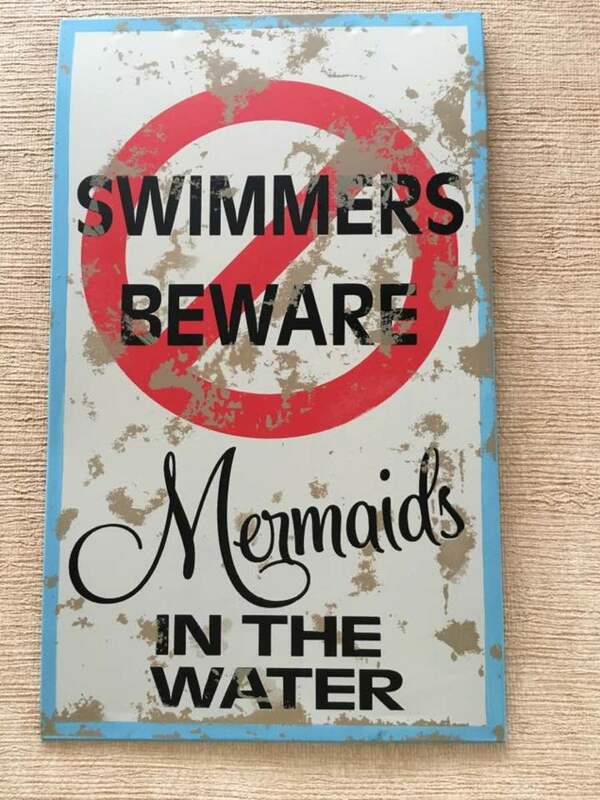 Hang your swimsuit, towel or beach hat on one of these kitchsy mermaid wall hooks and add a pop of style to your pool house, powder room or front porch. Carry your lunch in this adorable bento box~fits a lunch suitable for all merpeople. For more mermaid fun, delight your little one as they head off to dream-land with this adorable bedding from Pottery Barn. For the teen mermaid fan, these make-up brushes are perfect for your next beach getaway! 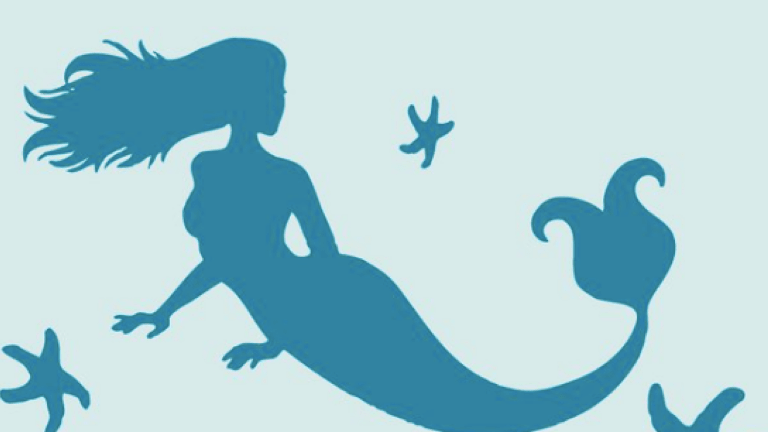 Need a full mermaid inspired wardrobe? This adorable dress from Gymboree is just one of cuties in the collection. How will you celebrate the mermaid inside of you?